De-Constructed Quilt Block Design for HUGE blocks. Instructions make 10 inch and 15 inch rings. Totally pieced in the hoop and quilted in the Hoop and Joined in the Hoop. our own EZ Build Half Square Triangles to make the claws. Claws are totally pieced in the hoop, joined in the hoop and quilted in the hoop. Contains Join As You Go Instructions with Continuous Backing and Batting Strips! Bear Claw is a De-Constructed design. The hoop size that you select will be the size of of one quarter of the block design without sashing. Machine instructions for 5 and 6 inch hoops with blocks that finish at 101/2 and 14 inches. 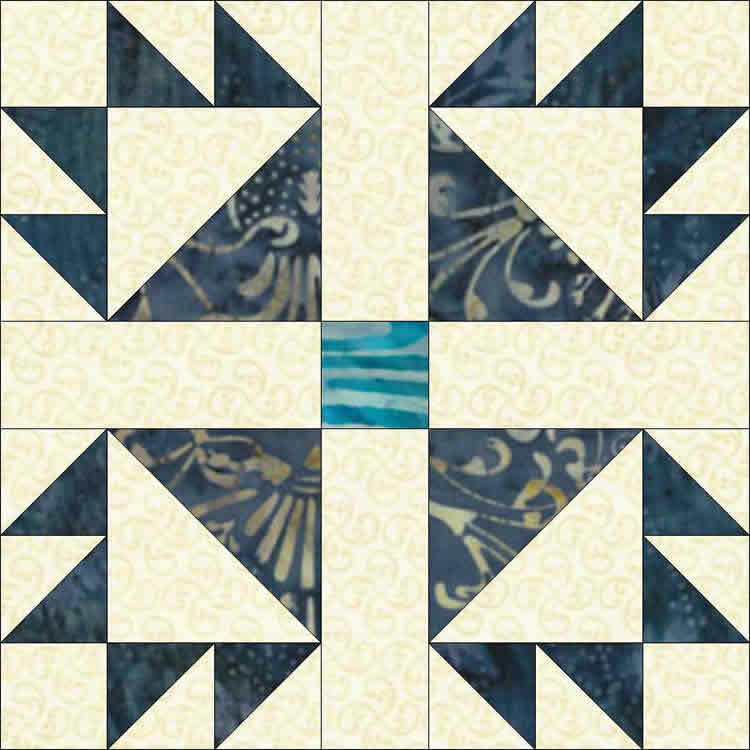 Meandering Bears is also supplied as an Interchangeable Quilt only design for plain or un-pieced 5, 6, and 8 inch blocks. Available for instant download for 5 and 6 inch hoops. Additional Sashing files are included for larger hoops - this means you will be able to make more sashing strips in the same hooping if you have larger hoops.